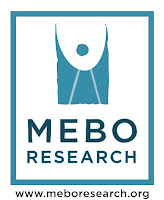 There have been numerous requests from sufferers in the UK to test for TMAU through MEBO Research. Each time, before proceeding with emailing them an invoice, I point out that TMAU Testing is free through the UK National Health System if arranged by the sufferer's physician. In a few cases, persons living in the UK have still opted to test with the through MEBO, and even though shipping costs are steep to/from the UK/US, the currency exchange works in favor of the UK sufferer. Nonetheless, I would like to attempt to assist sufferers in the UK to obtain this test free from their NHS program. In the end, the decision rests on the individual, and I will accommodate each person to test as he or she pleases. If you live in the UK, but find it difficult to explain to your physician that you would like to be tested for TMAU, you might find it and easier process if you prepare yourself in advance of your appointment with your physician. You can go equipped with the right informational tools that may facilitate your communications with him or her. Please click on the following links of a few posts that may be of help to you. Another very reliable source that would support your request for TMAU Testing, is the article written by MEBO Research's Public Relations Director, Karen James, in the InnovAiT blog of the Oxford Journals. You may want to show your physician this article as well. help. The curriculum is vast and reflects the level of knowledge GPs have to acquire, and maintain, over their careers. It is inevitable that you will experience patients from time to time with problems that will stretch your knowledge to its limits. As Karen has alluded to throughout this article, it is important to listen to patient concerns, be open-minded, and be prepared to look things up and/or take advice from both primary care and specialist colleagues if you feel that you are treading on uncertain ground. If you still have difficulty getting your physician to set up a TMAU Test for you through NHS using the above-mentioned tools of communication, and if you wish to test in the United States through the International MEBO TMAU Test Program, please fill out the Requisition Form for testing and shipping cost information. The cost of the MEBO TMAU test is $150/US dollars plus round trip shipping cost, you can fill out the Requisition Form and I will send you an informational invoice with the breakdown of the test and shipping cost. By receiving the invoice, you would be under no obligation to pay unless you are interested in purchasing this test, at which time you can click on the PayPal button and pay with either your PayPal account or credit card. Please note that MEBO Research has designed the TMAU Test Program in such a way that anyone almost anywhere in the world can do the test. For more information on other options of testing around the world, please click on the following banner, so that you can best make a decision about what is right for you.